Templehall Hotel is a small country hotel on the path of St. Cuthbert’s Way in the village of Morebattle. Privately owned by Craig and Michelle Anderson, the hotel sits amidst the picturesque landscape of the Cheviot Hills, the perfect backdrop for you to relax, unwind and enjoy the good food, cask ales and freshly made cakes. 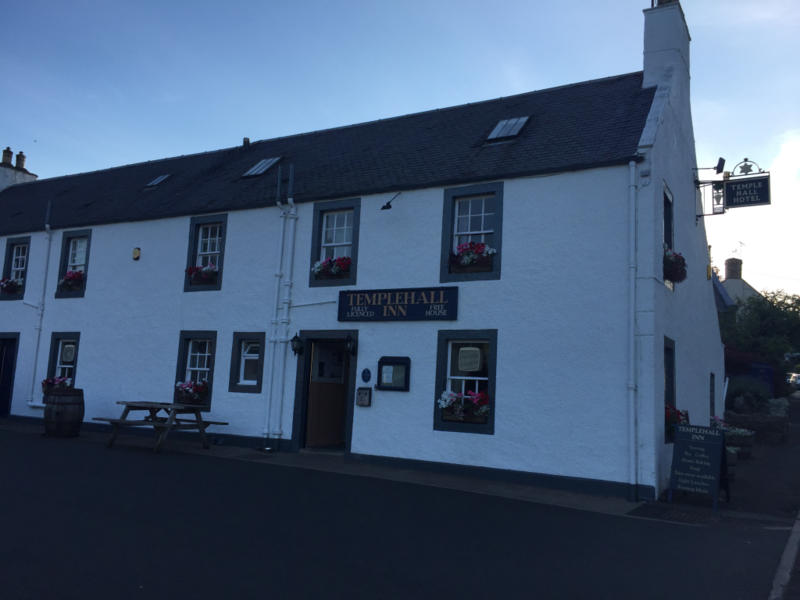 Ideally situated as a comfortable overnight stop for anyone walking the St. Cuthbert’s Way route, for spending a few days relaxing in the peaceful surroundings, or as a base from which to enjoy cycling, fishing, golf, hillwalking or exploring some of the Borders’ many historical sites.